Fancy a new kitchen? 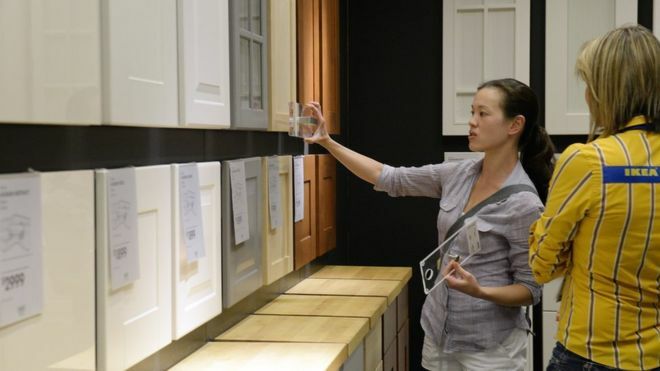 Hire one from Ikea..
Ikea is to start allowing customers to lease rather than buy furniture. A pilot project in Switzerland is looking at hiring out furniture as part of an environmentally-friendly policy by the Swedish flat-pack company. It said it was looking at ways for customers to “buy, care for and pass on products”. It has already introduced programmes designed to reduce waste, such as services to take back old beds or sofas which it then donates to charity. Kate Hardcastle, retail analyst at Insight With Passion, told the BBC it marked a “pendulum shift” for a company which focused on cheap and cheerful furniture but was now trying to take a more sustainable approach to business. Kitchens and office chairs are among the items that could be offered for hire, according to the Financial Times. Torbjorn Loof, chief executive of Inter Ikea, told the FT: “We will work together with partners so you can actually lease your furniture. When that leasing period is over, you hand it back and might lease something else. Inter Ikea controls the brand rights of the company, which was created in 1943 and is named after its late founder Ingvar Kamprad (IK) as well as the farm he grew up on – Elmtaryd (E) – and the nearby village Agunnaryd (A). The leasing plan is the first in a series of ideas which could lead to customers subscribing for services with a view to items being refurbished rather than thrown out. While office furniture such as desks and chairs are expected to be the first items to be included in the trials, and targeted at businesses, leases on kitchens are also a possibility. An Ikea spokesperson said the business was aiming to encourage “people to play an active role in making the circular economy a reality, which we can support by developing new ways for people to buy, care for and pass on products.”. “In certain markets, such as Switzerland, we’re exploring and testing potential solutions and have a pilot project to look into the leasing of furniture, but it’s still too early to confirm exactly what this will look like,” the spokesperson said. As well as a service to return old furniture, in the UK it offers a service to take back unwanted textiles and, at its new store in London opening on Thursday, it will have its first Learning Lab to examine ways to extend the lifecycle of products. The chain has started to make other adaptations to its model – which was traditionally focused on out-of-town stores by trying new formats. It opened a small format “planning Studio” on London’s Tottenham Court Road last year and has said the format could be rolled out more widely.